With the prices of Whiskies skyrocketing from the now booming popularity, many who are new to Whisky are left wondering if they should invest in their money in their new found love. The common belief is that the going rate for a good malt starts around average of $50.USD. It’s true in some respects, but not in every case. I don’t know about you, but when I start to take interest in something new, I’m not trying to start at the highest price point. When it comes to distilleries I am not as familiar with, I like to start at their base, and see what they have to offer. For some, that is an easy way to do it without getting yourself stuck with bottles you will later regret purchasing. Personally, I have the gift…. and the curse…of an exceptionally discerning palate, which gives me a bit of “liquid foresight” when it comes to tasting new malts….that and a job that enables me to try everything. For many others, it’s a gamble, unless you have a trusty whisky steward who knows your taste. I try to make it a point to find the best “Bang for your Buck”. Contrary to popular belief, there are malts out there that Don’t cost an arm and a leg. It brings me pure, unadulterated joy when I find those malts. Malts of exceptional quality, and modest pricing. When I decide to venture into new distillery territory, I make it a point to do a bit of research on them. That can be a double edge sword in a sense, but, it is what it is. Recently, I’ve become acquainted with a really awesome distillery from central Scotland, on the banks of the river Teith. Deanston. The building itself started as a cotton mill a couple hundred years ago, but closed in the mid 1960’s, due to the changing times and economic climate. In 1966, the building was transformed into a distillery. In my opinion, an old cotton mill is the perfect place for a distillery. I have a great deal of respect for these guys and the genius of master distiller, Ian MacMillan. They rely on the traditional methods of distilling, and not relying on any technology in their process. They use their own locally grown organic Scottish barley. They also use recycled and recyclable packaging. It’s one of the many forward thinking and environmentally responsible distilleries out there. This is one of those exceptional malts that has rightfully earned every award it been given, including the silver medal at the 2013 and 2014 IWSC competition. It starts off on the nose with a very welcoming and delightful burst of fresh lemony citrus, warm honey, nutmeg, apple and a gentle hint of smoke. I say, it’s a very good start. It hits your palate gracefully. A sweet introduction of toffee, melting into honey, which takes the forefront, while the subtle spices dance to a tune of butter cream, candied fruits, gentle clove, heather honey with a subtle splash vanilla and new oak spice. You can taste the influence of the new oak from the Kentucky bourbon barrel, as the caramel ever so gently settles on the edges of your tongue, bringing together the balance of flavors and the uncompromising character and structure. It’s playful and rich, which are great call signs for a delightful young whisky. The finish is nice and calm but still lively. Much of the oak spice steps up, but is countered with toffee and cream and doesn’t throw off the balance. Sometimes with new oak, you get an over amplified amount of oak spice, which can be overwhelming at times. This one is just right. All the goods in all the right places. For those looking to venture into something new, I would definitely suggest picking this one up. It is one of the best “Bang for your Buck” malts on the market for under $40. 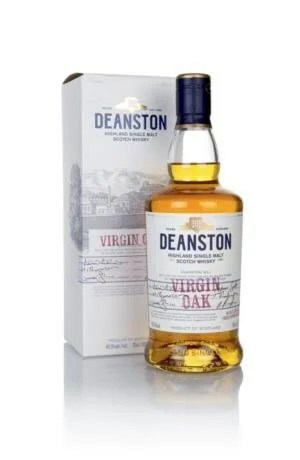 For more information on the Deanston Distillery, check out their website. http://www.deanstonmalt.com. Bourbon? from Frankfort Il. ? We’ve all heard the term “Support your local business”. I agree with it. Especially when it comes to local distillers…..within reason. A few weeks ago, I had the pleasure of meeting a really cool guy who invested in a local distillery down in Frankfort, Il. Naturally, the words “local” and “distillery” peeked my interest because of my blending and barreling hobby/addiction. The timing was perfect. They were having their grand opening later that week, and surely, I attended. It was grand to say the least. Frankfort Spirits opened Sunday, October 5th. I can’t say how fantastic it was to see such an awesome turn out. I met the master distillers, Phil and Dan Casey, and talked with Phil a while. It’s great when you meet nice people who have a genuine passion for what their doing. Especially when what their doing turns out to be creating damn fine spirits. They have two spirits bottled and available. Verdict Vodka, which is a grain based vodka, with everything sourced locally, and distilled under the roof of a former court house, hence the name “Verdict”. The vodka is soft, smooth, crisp, and rich, with nice slight notes of clean citrus. If you see it out, get it. It’s fantastic. Emil Stimple Bourbon. This was a treat and a half. It’s a straight bourbon, comprised of corn, rye and barley, all sourced from local farmers, and carefully aged for 8 years. This is by far, my favorite Illinois whiskey. On the nose, you get a nice round aroma of honey, caramel, and a splash of smoke and spiced vanilla, intertwined with a non-invasive vapor. The balanced layering of the flavors is magnificent. It hits the palate gracefully with a velvety start of honey and caramel, and envelopes the palate completely.The caramel breaks into toffee, with a soft splash of charred oak smoke that counters with vanilla, spice and malt. The spices carry though the center and softly melt into a rich, strong, balanced oak finish that touches off with a slight hint of cinnamon and citrus from the rye. Truly an awesome Bourbon. It is impressive. They have nice packaging also. It’s all bottled in house too. You can see photo’s on their facebook page, linked at the bottom of this post. These boy’s have out done themselves. I can’t wait to taste their new double barreled bourbon after it’s finished aging. I’m excited for all the things that are coming from these guys. Their future is so bright….It’s gonna need shades. What are your top three anytime whiskies ? I’ve always had a hard time narrowing down a favorite whisky. The word “favorite” calls in qualities that have to be met in every spectrum. One can only wish it was so simple. You know as well as I that, when it comes to whisky, we have a favorite for every mood. Let’s break it down to an easy one…..
What are the top three whiskies you can sip in any mood? One of my top anytime whiskies is the Aberlour 16, with it’s double barreled goodness. This is easily one of my favorite anytime malts. Hailing from the heart of Speyside, where the river spey meets the Lour burn, comes this absolutely beautiful whisky. It’s matured in ex-bourbon and sherry barrels, drawing deep traits from both. The combination of both bring out such rich character in the whisky itself. On the nose, you get hints of honey, vanilla, a slight hint of alcohol vapor, but the floral and fruit notes tie it all together beautifully. When it hit’s your palate, it envelopes it with a rich, almost creamy splash of sweet malt, slowly breaking into a bouquet of dried candied fruit with creamy orange marmalade. The floral hints touch with a splash of vanilla and comfortable spices. The finish is long, rich, and delightfully sweet, but nicely balanced. The other two at the top of my list for anytime whiskies are from one of the northern most distilleries on the mainland of Scotland. 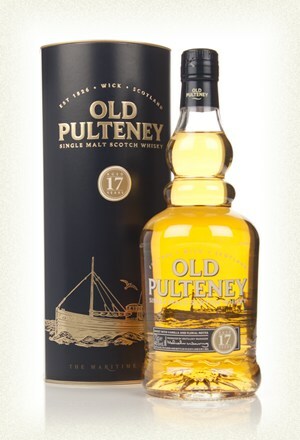 Hailing from Wick, ……Old Pulteney 12 and 17. 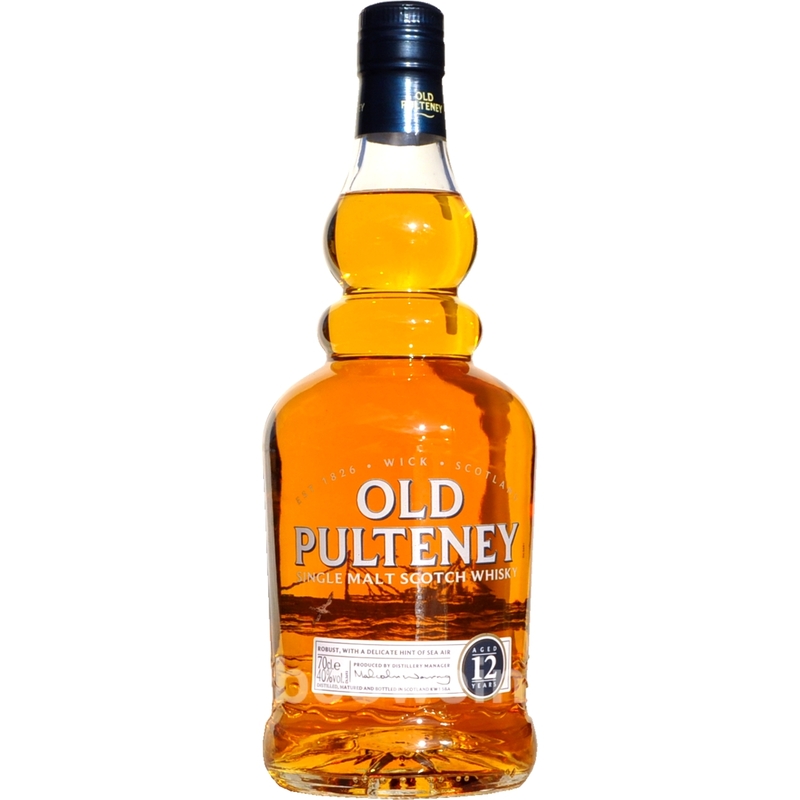 The Old Pulteney 12 is easily one of my favorites malts by far. Anyone whom I’ve had a whisky conversation with, have heard all about it. I hold a deep appreciation for maritime influenced whisky and even cognac, making this one an easy and affordable anytime whisky. The nose offers a comforting hint of ocean spray, with a touch of grist and light honey. This is a very subtle and well rounded malt, that gently steps onto your palate, leaving it’s prints of sea salt, caramel and honey. It wraps itself comfortably around your tongue and opens up with more elements of dried, comfortably musty stone fruits, with a rich malty grip. The subtle oak holds hands with the back note of lightly salted toffee on the finish, leaving thoughts of staring out at the ocean on your mind. With similar elements of the 12 year, the 17 steps it up a notch on flavor….and price. The nose is a bit more balanced, with elements that are much more subtle. The complexity steps in, introducing new elements of dried fruits, with a hint of creaminess and a slight note of melon and smoke. When it hit’s your palate, the game changes. The sea salt, oak and sweeter malted barley bring in a goody basket with a full array of flavor. Honey and lightly salted buttery toffee layers the citrus and stone fruits that lead to a rich, round and balanced oak finish that holds hands with the rest of the elements. This is one of the true gems of Scottish whisky. Now that I have given you mine, tell me about yours. What are your top three anytime whiskies? As we know with the recent boom in craft beer, craft spirits are on the rise. With whisky gaining in popularity, many new distilleries are having an easier time getting out on the international market. All are brimming with excitement. With the current advancements in technology, many distillers have much more room for creativity. The internet has also opened the gateways of communication, making it much easier to acquire different barrels to age their spirits in. This is great because you will have much more character and new ideas that can come from different perspectives. This does well with single malt’s and blends. After acquiring a barrel, I found the art of blending whisky to be one of the most inventive hobbies that pushes the traditional limits of flavor. It’s a shame that blends don’t get the credit of single malt’s, but i say “to each their own”. Blended whisky stays in high regard. A blended whisky I’ve recently become acquainted with has stolen much of my attention from my single malts. Té Bheag from the Pràban na Linne distillery. The distillery offers 3 whisky’s. Poit Dhubh 21 Year Old. 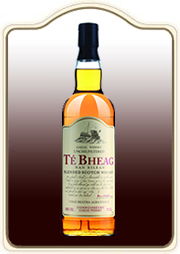 The Té Bheag connoisseurs’ blend is an exciting, rich whisky from the Pràban na Linne distillery from the Isle of Skye. It has a higher malt content which adds to the smooth richness of the blend. It has a delicate peaty top layer and a toffee-like richness and finishes with a soft, well rounded character. Like everything Gaelic, you get intense beauty and complexity with many influences. I am a fan of most things with maritime influenced, so the clever hint of sea salt and ocean spray really drew me into this delightful dram. It is a must have for anyone who values complexity and rich flavor. This excerpt below, I lifted from their website. It is truly a unique spirit and earned the many awards they have received. “The Té Bheag was the winner of the SILVER medal in 2014, 2013, 2012 & 2011 and the gold medal in 2009 at the International Wine & Spirit Competition (Deluxe Blend category). Also winner of the silver medal at the San Francisco World Spirits Competition 2013 (Blended Whisky category)”. I would write more about the other two, but I have yet to try them. Those reviews will be coming soon. Hello! My name is Miles. I am a man of the Malt. 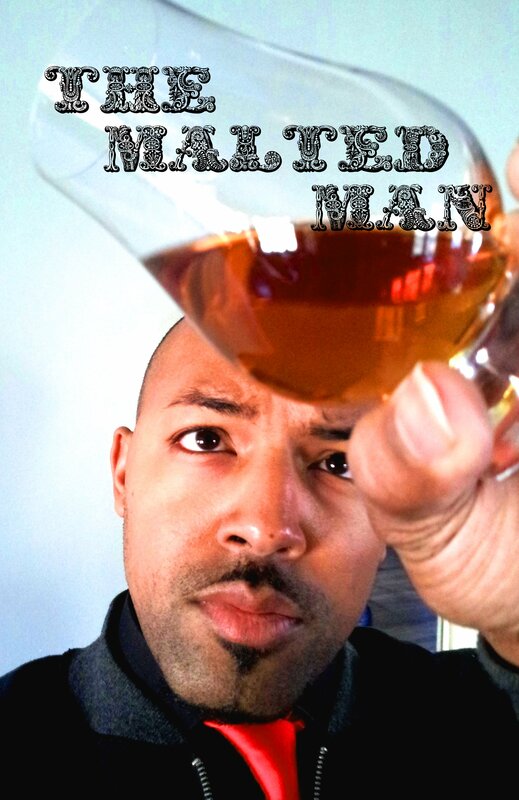 My goal with this blog is to introduce you to new whisky and whiskey that you will love and make a part of your life. I’ve spent many years in the liquor industry in various roles, from taster, to sales rep, to brand ambassador, to independent blender and barreling. I serve as a steward of the fine spirit, and hope to guide you down the path to finding the whisky or whiskey you will enjoy. Hack Martin on Bang for your buck.